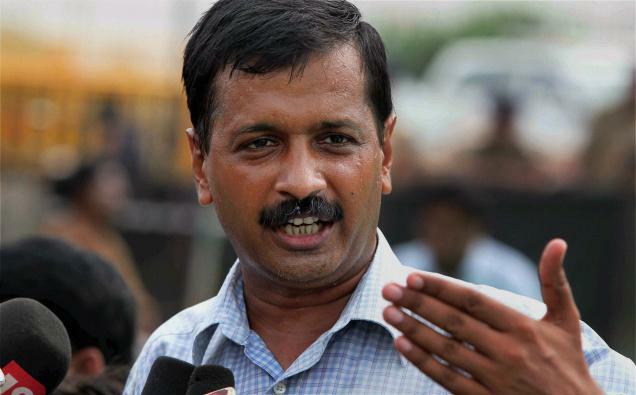 Arvind Kejriwal received the Magsaysay award in the Emergent leadership category in 2006. A mere five years later, he has far surpassed that milestone, winning acclaim and notice for the way he conceived and crafted Anna Hazare’s anti-corruption movement. He talks to Vidya Subrahmaniam about the Jan Lokpal campaign, what it accomplished and why it often became controversial. The scale and spread of the Anna movement have baffled many. How did this happen? A movement cannot be created out of nothing. In this case, anger against corruption was at the point of eruption. Then two things happened. One, instead of merely echoing the anger, the Jan Lokpal Bill (JLB) offered a solution. Second, Anna emerged as a credible leader at a time of huge leadership crisis in politics. See, people did not understand the details of the JBL. They simply saw it as a “dawai” [medicine] for corruption. It is the combination of a solution and a figure like Anna — who lived in a temple with no assets — that clicked. When we conducted referendums on the JLB, we used to try and explain its contents to people. But they said they did not want to understand the details. They just wanted to put a mohar [stamp] on Anna. How did you communicate your message to such a large number of people? Technology played a key role in this. When in January this year, India Against Corruption (IAC) member Shivendra suggested to us that we use Facebook to publicise our rallies, I dismissed it saying Facebook has a limited, urban following. But Shivendra went ahead. We had planned a single rally on January 30 at the Ramlila Maidan. But because we connected on Facebook, we were able to conduct simultaneous rallies in 64 cities. SMS texting also played a critical role. Our SMS communication was designed very intelligently. A company in Mumbai suggested we ask for missed calls as a mark of solidarity. Missed calls cost nothing. In March, we sent out two crore SMS messages and got 50,000 missed calls. Then we targeted the 50,000 callers, asking if they would like to enrol as volunteers for IAC. Initially 13 people responded. We sent two more rounds of messages to the 50,000 callers. And in just one week, the number of volunteers swelled to 800. Surely television played a disproportionate role in projecting the movement. TV certainly helped, both when Anna sat on a fast at Jantar Mantar and then at Ramlila Maidan. But the media cannot create a moment. They can at best magnify it. The crowds at Ramlila and the crowds that followed him when he left for Medanta hospital were not manufactured. There have been reports of dissensions within the Anna camp. Also that the deadlock was broken only because Congress/government negotiators spoke directly to Anna. Anna appointed Kiran Bedi, Prashant Bhushan and me to negotiate with the government. One day I was very tired and Kiran was also not around. So, Medha and Prashant went for the meeting. The next thing we hear [from the media] is that Kiran and I have been sidelined, that we are hardliners, and we are deliberately preventing Anna from breaking his fast. This was disinformation by the government. You started with the maximalist position of “Jan Lokpal Bill by August 30 and any amendments only with Anna’s permission.” From that to accepting a “sense-of-the-house” resolution that was not voted upon — wasn’t it a climbdown? When we started on August 16, there was such an overwhelming response that we thought the government would agree to our demands. People wanted the JLB. After a few days we realised that there was a serious leadership crisis in the government — negotiators were constantly backing off. In the last three days of the fast, it happened four times. The Prime Minister made a conciliatory statement, Rahul Gandhi went off on a tangent. Salman Khurshid, Medha and Prashant sat together and drafted a resolution. Next day [August 27], at 1.30 p.m., Salman said no resolution. It became clear to us that what we wanted — Parliament voting on a resolution containing Anna’s three demands — was not going to happen. Therefore we had to change our strategy. Are you satisfied with the resolution that was adopted? It is not categorical and leaves escape clauses. We are satisfied because it contains Anna’s three demands. It will not be easy for the Standing Committee to renege on Parliament’s commitment. We will be keenly watching the Committee’s proceedings and the MPs also ought to know that they are on watch. I know, of course, that it is a long journey ahead. Kiran Bedi told a TV channel that at one point when all seemed lost, a miracle happened: L.K. Advani called her and gave her his word that a solution will be reached by the following evening [August 27]. She also said that the Bharatiya Janata Party, which until then was ambiguous on the JLB, changed its stand and offered full support to Anna. We met the leaders of the main political parties thrice and as part of this we also met Mr. Advani. However, we have been clear that no BJP leader or leader of any communal organisation will share the stage with us. This is the decision of our core committee. As for Kiran talking about Mr. Advani, please put that question to her. So are you an apolitical movement? No, we are political but we are concerned with people’s politics. The movement will always remain outside of political parties and outside of electoral politics. You will not float a political party? No, never. We don’t need to get into the system to fight it. We want to pressure the government and assert our rights as citizens. Everyone who has a dream need not get into politics. Doubts have been raised about the credentials of those who have donated money to IAC. Sometime ago, a citizens’ group from Hyderabad wrote to you saying it was shocked to see some very discredited names in your list of donors. A number of people have contributed money to the Anna movement. There is complete transparency from our side. Our receipts and expenditure are transparent. But we have no mechanism to go into the antecedents of our donors. And donations are streaming in, making it impossible to keep track. If there is a glaring case, we will certainly investigate it. I know, for instance, that there has been talk of the Jindal group. But those who donated to IAC are from Sitaram Jindal, not the Jindal mining group. Your entire fight is about transparency and accountability. One of your NGOs, Public Cause Research Foundation, received donations on behalf of IAC and issued receipts in its name. But until August 29, there was no mention of Anna or the donations on the PCRF website. That is an oversight. We will immediately update the website and provide a link to IAC. Another of your NGOs, Kabir, received grants from the Ford Foundation (FF). According to the FF, Kabir received $172,000 in 2005 and $197,000 in 2008. The FF also sanctioned an “in-principle” grant of $200,000 for 2011, which you have not accepted so far. Why does Kabir not mention the FF and these specific details on its website? We did not give the specific details because we also got some other NRI contributions and these were clubbed together. I will make sure that the website gives the break-up. Fears have been expressed about the form of mobilisation we saw over the last four months. There was anger and impatience and, some would say, coercion in your methods. During the Ram Rath yatra, too, the BJP said people were angry because the mandir had not been built for 40 years. Aren’t you setting a worrying precedent? The two situations are not comparable. One was communal and divisive and went against the grain of the Constitution. We are not asking for anything illegal. Our demands resonate with the people and our movement has been unifying, non-violent and entirely within rights given by the Constitution. What is wrong if people demand a strong law against corruption? What is wrong if they ask for the Jan Lokpal Bill? Why did you ask for Parliamentary due process to be suspended? You didn’t want the JLB to go to the Standing Committee. The JLB was drafted after wide consultations; it underwent many revisions based on feedback. Where is this kind of discussion in the drafting of any sarkari Bill? The purpose of the Standing Committee is to take multiple views on board. But not all Bills reach the Standing Committee, and in 90 per cent of the cases, the government does not accept the Committee’s recommendations. So why the fuss only for JLB which has been widely discussed and debated?